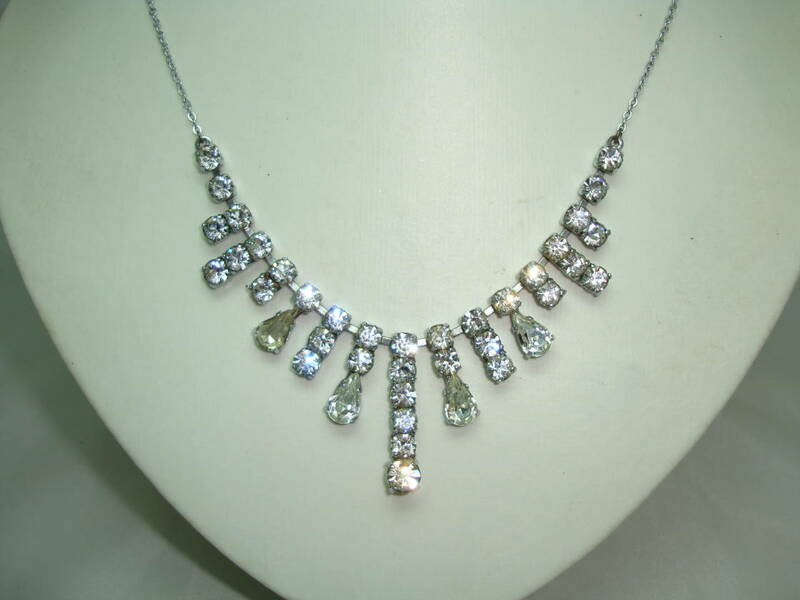 We are pleased to offer this stunning vintage 1930s quality sparkling paste diamante graduating drop necklace on fine silvertone chain. 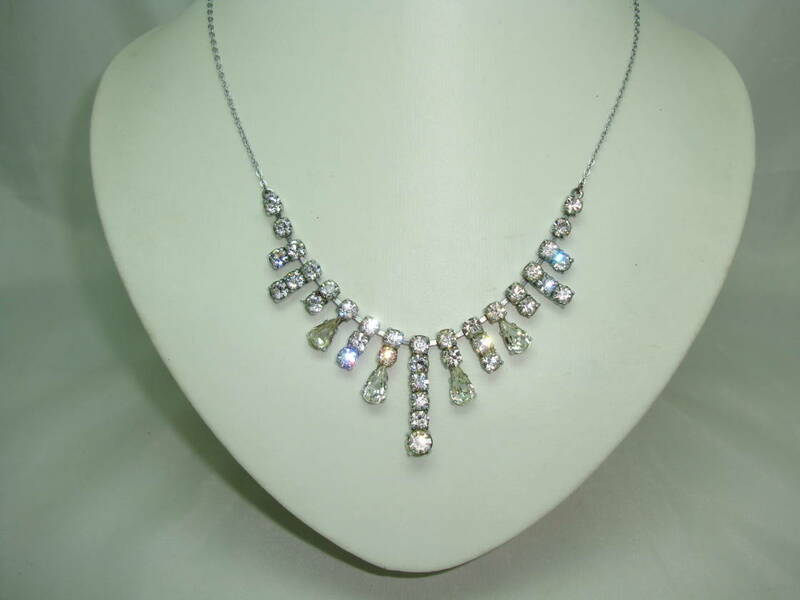 As you can see from the photos, the necklace is in very good vintage condition, all stones clawed, intact and original - a real sparkler! 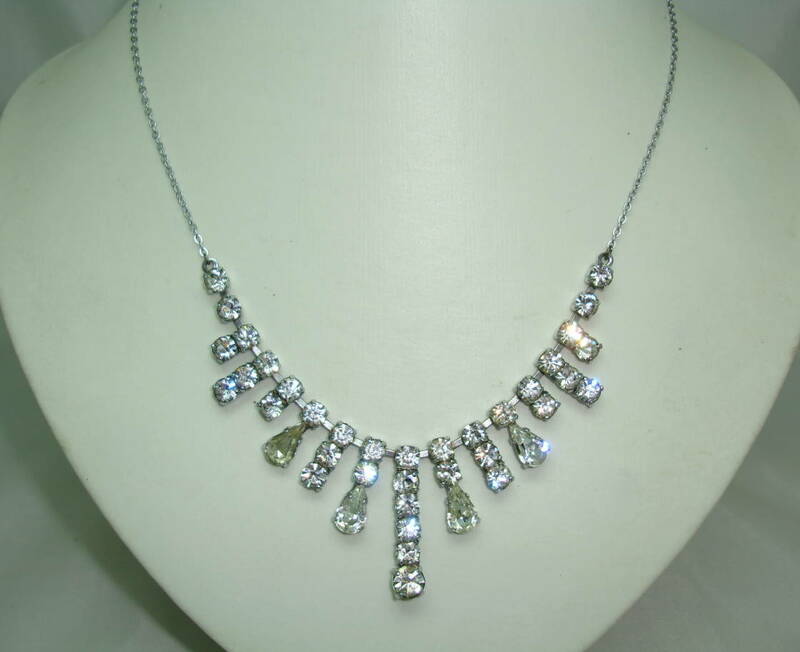 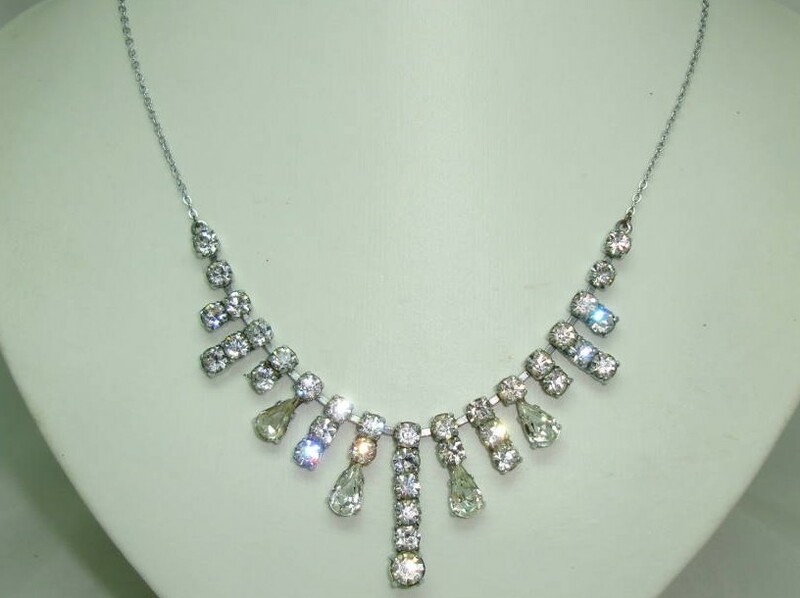 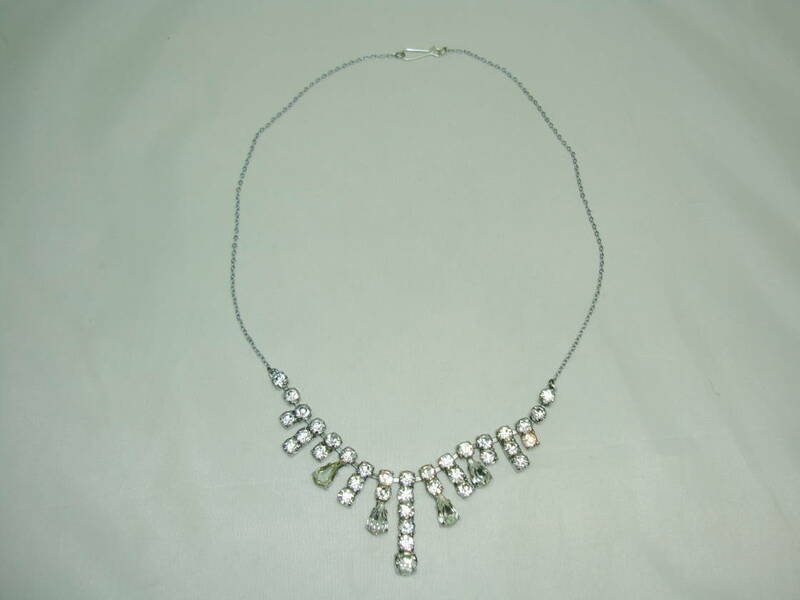 This would look great worn with a little black dress for that ultimate vintage glamour!